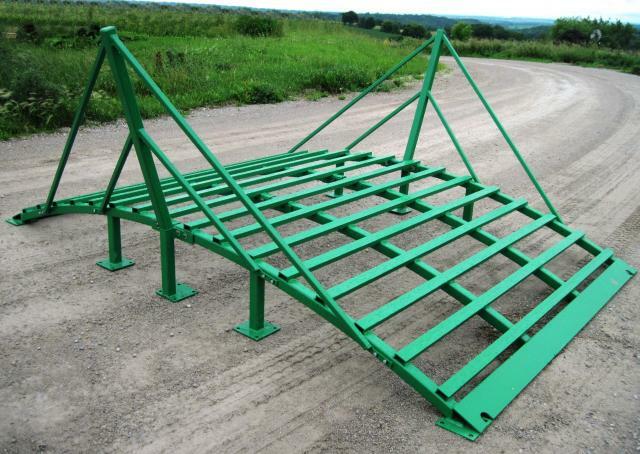 Bale Deck to fit on your Running Gear. Available in 16ft., 20ft., and 27ft. This deck works great for big rounds, big squares and silage bags. Customers have also fitted with decking for multiple uses around the farm and ranch. 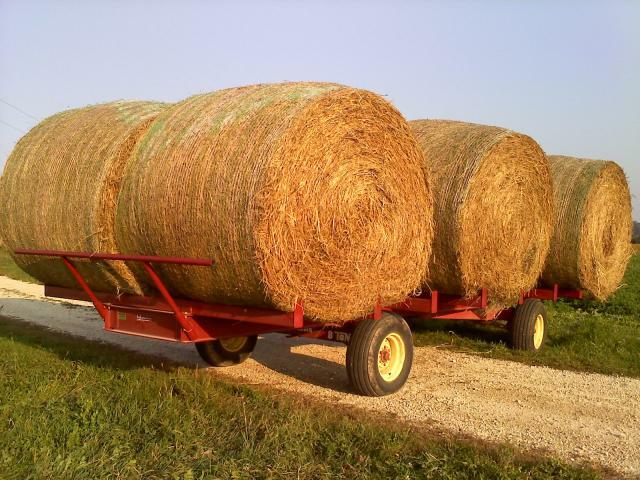 LaX 838 - Eight bale hay hauler, shown with additional bale cradle hauls 10 bales (left) and LaX 815 - Six bale hay hauler (below). The LaX 620 Bale Cradle fits both models. Also available at LaX: Cattle Crossing units, simply open up your fence line and drop cattle guard. 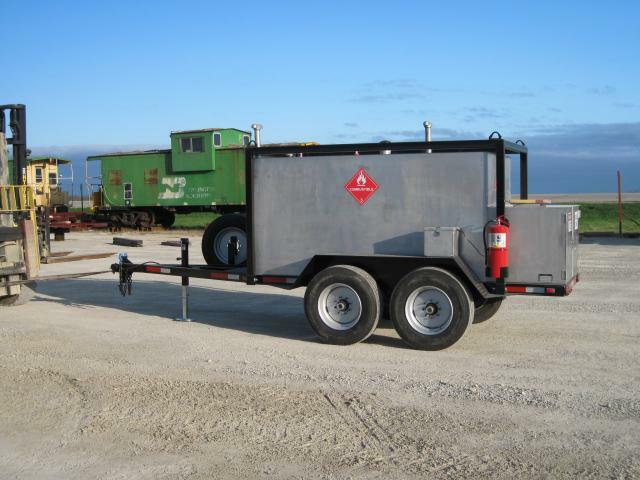 LaX also has a variety of Fuel Jobbers, perfect for farm and jobsite. Call for information on all Farm and Ranch items.